New Jersey Needle Artists signed up for two tables at the first annual New Jersey Needle Festival in April of 2012. NJNA enjoying the Needle Festival! 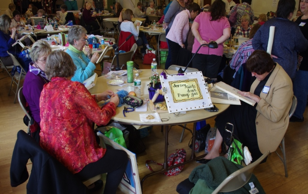 Our participating members enjoyed a day of stitching, shopping, and conversation. There were several unique vendors and many other attendee’s projects to view and admire. Some of our members even won door prizes! 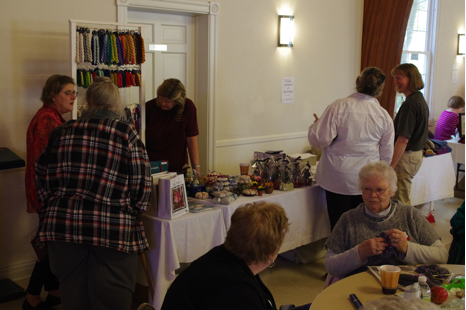 NJNA Members admire the amazing merchandise at the vendor tables!